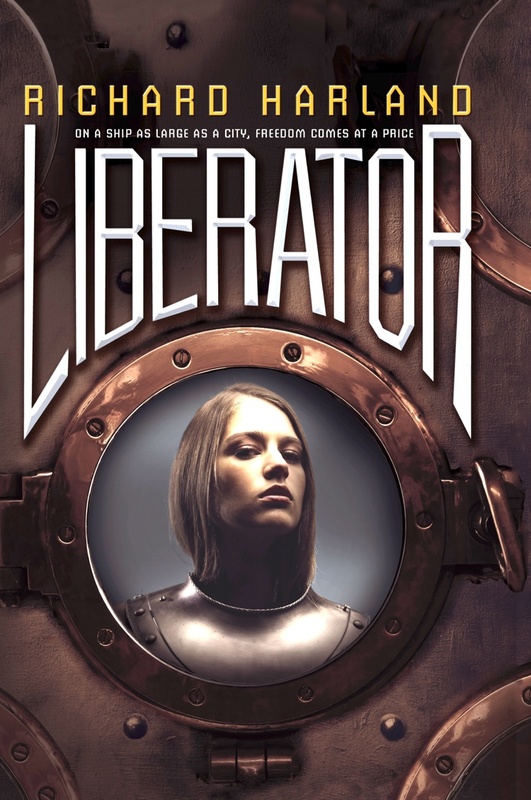 NOTE: Liberator is the sequel to YA Steampunk novel, Worldshaker. If you haven't read Worldshaker this review may contain spoilers. I suggest you get a copy, read it, then come back. From pampered future leader to revolution co-conspirator, Col Porpentine's life has drastically changed in just a few short months. Now the peace and equality he and Riff fought so hard for stands in jeopardy. An anti-Filthy saboteur has created violent tension between the Filthies and the Swanks. Add to that a battle for power in The Council and the juggernaut's dwindling coal supply, and the Liberator soon stands on the verge of a crisis. Col and Riff face their biggest challenge yet as they struggle against danger--from within and without--that threatens not only their hopes for a new society, but their hopes for a new life together. Action. Adventure. Suspence. Romance. You'll find it all here. With each turn of the page comes a new danger. On the heels of each small victory comes an even bigger obstacle. And there was more than one surprise I never saw coming. Harland has created some amazing characters, each with their own strong and unique personality (loveable, hateable, and everything in between). 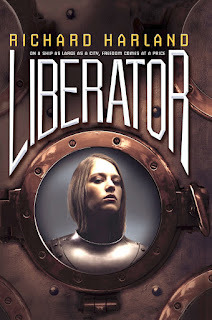 It's this brilliant cast that makes Liberator (and previous novel Worldshaker) really shine in my opinion. Throw all these characters into an enthralling story where the action never stops, and you'd better be prepared to once more get caught up in the world of the Filthies and the Swanks, because I guarantee you're not going to want to put this book down. Why Is The Ink Always Gone?